Storytelling is an age-old concept that brings engaged people together. It doesn’t matter where in the world you’re based or how big your organization is, becoming a talented storyteller is one of the biggest elements to an effective content marketing strategy. Whether you’re a new startup looking to find your voice, or an established organization looking to refine yours, ask yourself this; have you mastered the art of storytelling enough to distinguish yourself from all your competitors? 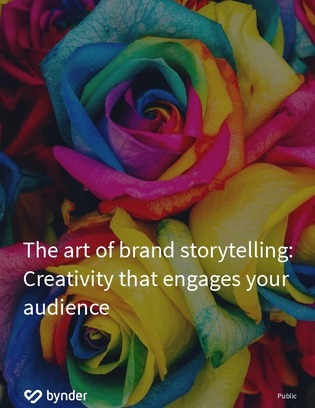 Download this white paper to explore the ingredients for creating content that intrigues, engages and connects, to guarantee your story is the foundation of your brand and winning strategy for future growth.